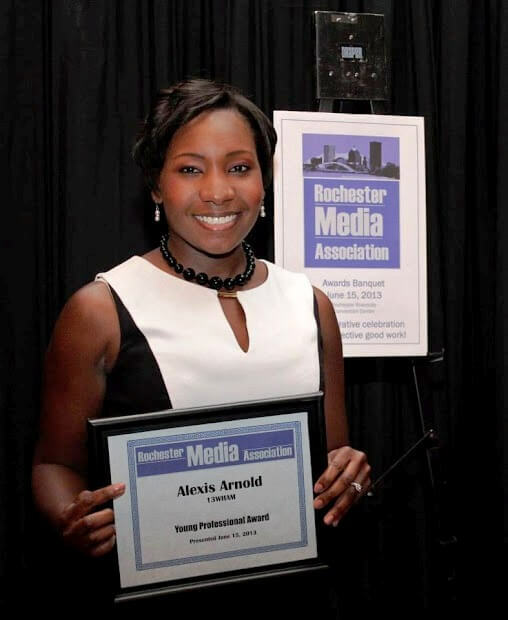 Che has profiled several Rochester journalists, including Hélène Biandudi Hofer, Jennifer Johnson, Nikki Rudd and Norma Holland. 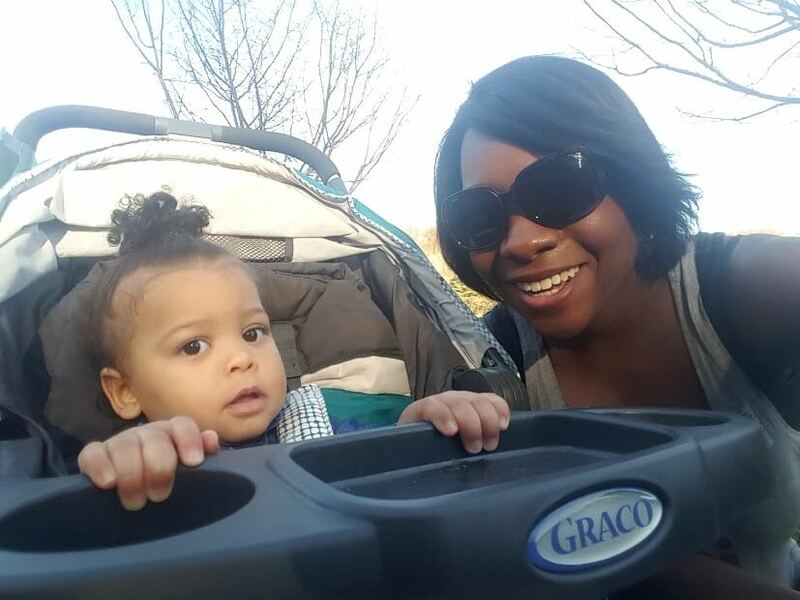 In this highlight, Che turns our attention to Alexis Arnold. I asked Alexis a series of questions. Here are her responses. I grew up in the Northwest Suburbs of Chicago, a place called Prospect Heights. Maybe about 45 minutes from the city, depending on if you took public transportation or not. I attended Wheeling High school where I was an active athlete and musician. I ran track and field and played basketball. At one point I thought about playing basketball for Ohio State, but that dream ended when I blew out my ACL in practice, plus I was too short and not all that great. 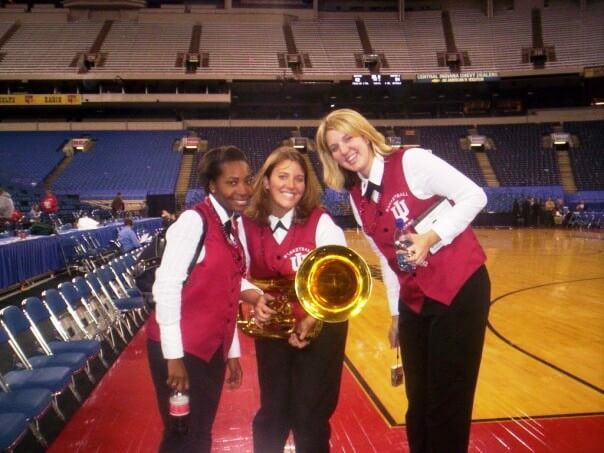 I went to Indiana University where I was in the marching band and pep band. I enjoyed playing at every football and basketball game. I’m a dedicated person who may seem serious on TV at times but I’m kind of quirky and can be quite silly. I just enjoy making people laugh and smile. What inspired you to be a journalist? Early experiences worth sharing? Growing up, I loved watching the news. The anchors and reporters always drew me in. I remember watching Robin Robinson and Tamron Hall on the Chicago stations saying, I can do that. Perhaps it was destined from the young age of seven years old. That’s when my mom took me to the Chicago Children’s Museum. They had a mock ABC news set. I sat on the desk and read a script. I always enjoyed talking and speaking to people. I did a lot of that in junior high and high school. I always wanted to be informed and pass that information on to others. I wanted to be the person people could trust to give them important information. Integrity is important to me. I think about the time I was out of college and without a job. I finished school in December of 2005. I was constantly sending out resumes and demos of my work. 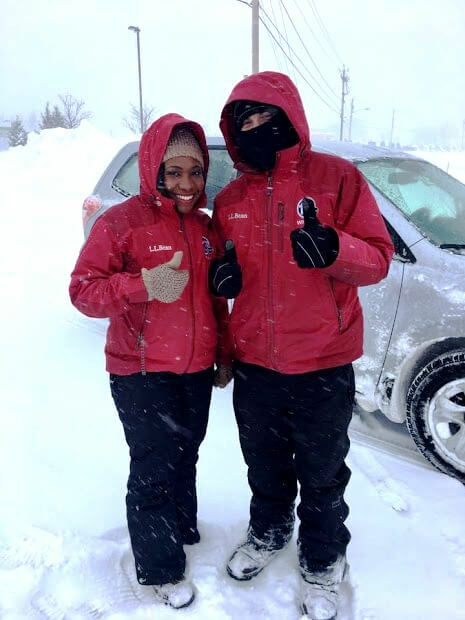 I worked at a credit union while trying to get hired at a news station. It seems discouraging to be without a job for six months for something you studied. But now that I look back, I don’t recall ever saying to myself that I would give up if I didn’t land something in a certain amount of time. I was hungry. This is what I set out to do since I was a kid, so I went after it. 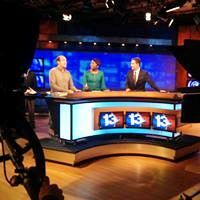 I remember I always carried my resume tapes and resumes in my car, by chance I were to run into a news director with a TV station. That did happen. I saw a news crew at a gas station, handed my resume to whom I thought was the photographer, turns out, it was the news director. He called me for an interview and offered me a job, but it wasn’t the job for me. I eventually did land a job. I drove six hours across the state of Illinois to get it. It wasn’t an on air job at first, but it got me in the door and I was eventually promoted to an on air position. I didn’t get paid much, and could barely pay my bills, but I knew it wouldn’t be like that always. Turns out, that wasn’t the end of my story. I look back and think, I’ve accomplished quite a bit, but my work isn’t done. What do you believe sets you apart from other journalists? I’ve been thinking about this question for about three days now. I would never want to discredit other journalists who I know work so hard to seek the truth and tell stories that make a difference. All I can do is stay true to myself. Be the best I can be every day. Strive for excellence every day. I know that I am dedicated. I strive to tell viewers the whole story, not just one side of it. News can be good, bad and sometimes just plain ugly. I want viewers to know that we are working hard to bring them those stories and to do so with credibility and integrity and maybe, just maybe, put a smile on your face. Show you some good that comes along with the bad. 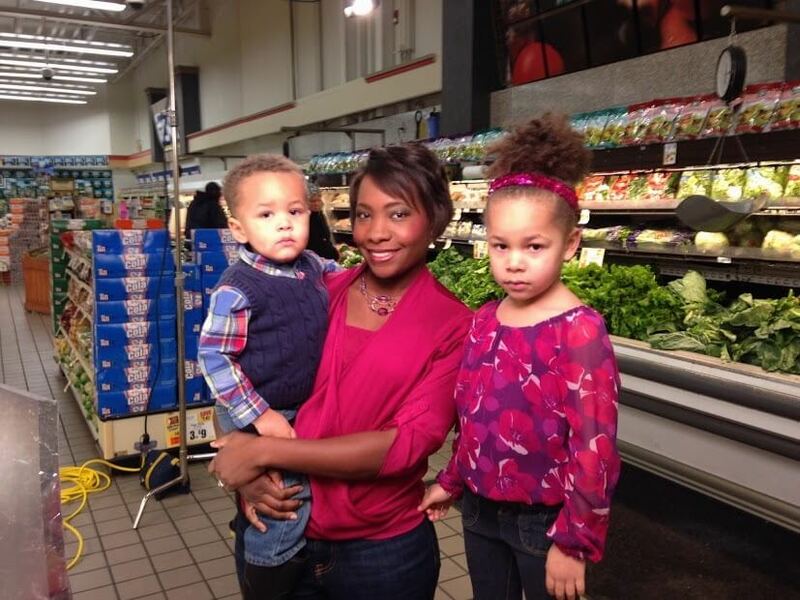 My top priority outside of work is being a good mom to my three children. I have a seven and four-year-old and an 18 month old. Two girls and a boy. When I get home from work, I am non-stop. I’m either taking my oldest daughter to Lacrosse practice and piano lessons or my son to hockey practice. Even though I don’t get much sleep, it is a lot of fun. I know in a blink of an eye, they’ll be off to college so I want to cherish these moments and be there for them as much as I can. But I do have other interests outside of work and being a parent. I’m a big band geek, a lover of music and proud of it. I started playing piano when I was 5, then started playing violin in 4th grade and switched to clarinet by the time I was in 8th grade. 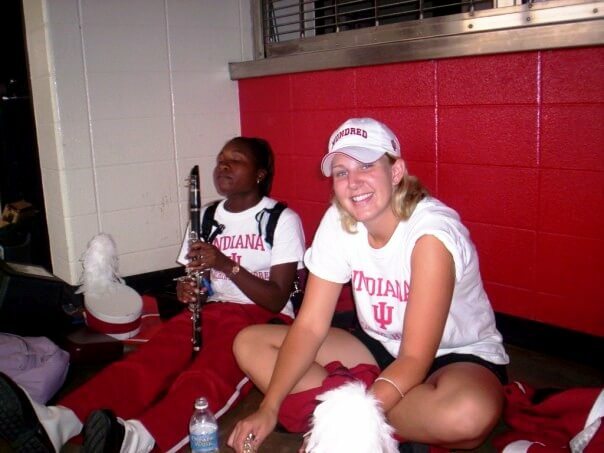 Was in marching band all through high school and college. I was even selected as drum major my senior year of high school. I’m in love with music and the arts. It’s a very important part of my life. For me, it was an escape. I loved the challenge of learning complicated music and then perfecting it to the best of my ability. I still play clarinet and help my daughter with music as she is now taking piano lesson. I also love to be active. I enjoy dancing, taking Zumba classes and working out at my husband’s studio. He’s a personal trainer, so he helps keep me in shape. I just finished a special report on a trend called “Aging in Place.” It’s a way baby boomers are taking their future in their hands. Instead of downsizing or moving into a nursing home, they’re making modifications in their current homes, so they can continue to live there as they age. I am working on some other projects, I aim to tell stories that are making a difference and inform. Still here. I’m invested in this community. My family is invested in the community. We’re all in. 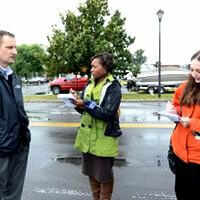 I hope to be a mainstay on 13WHAM, a face and person, people have come to turn to and trust. What advice can you give to aspiring journalists? Stay true to yourself. Never compromise your integrity for others. Never compromise yourself just to get a story. Hold yourself to a higher standard and never back down from the truth. But also have fun and enjoy what you do because if you lose your passion, I think others will see that. I would also say to aspiring journalists, reach out to those with experience, the veteran staff. Learn as much as you can from them and hold on to it. I value the people with years of experience that I work with. I have learned so much from them but now I’m taking what I’ve learned and passing that on to the next generation. Stay humble – never think you are above anyone or above the job. We are public servants and are fortunate to have the opportunities that we have. Lastly, I’d say get involved in the community. The best way to get to know your viewers and your community is by working alongside them by dedicating your time. You’ll find some good stories that way, stories that matter to the people you are serving. 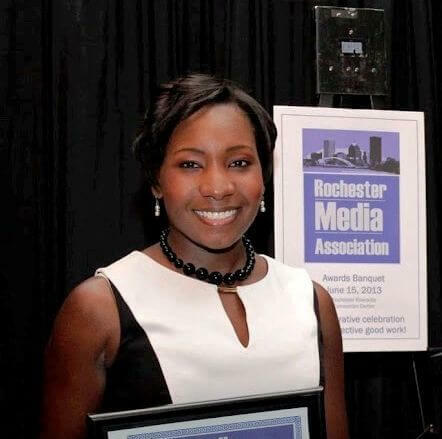 You can watch me every morning, Monday -Friday from 5am to 9am on 13WHAM ABC and Fox Rochester. You can follow me on Twitter @1AlexisArnold or like my Facebook Page: Alexis Arnold.